Customers in the UAE looking for used cars will have a new destination with the opening of the UAE’s biggest site at Dubai Festival City. 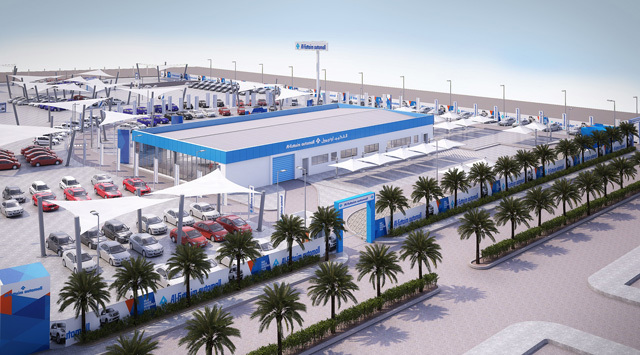 Al-Futtaim Automall, the largest retailer of pre-owned vehicles in the UAE, has announced it will open a new 12,000 sqm super site next month. Located opposite IKEA and alongside ACE, the new location will accommodate over 400 cars from popular brands including Nissan, Toyota, Honda, Hyundai, Kia, Dodge, Ford, Mitsubishi, Chevrolet, Jeep and more. Leading luxury brands will also be represented with models from BMW, Mercedes, Lexus, Volvo, Infiniti, Jaguar, Land Rover and Porsche amongst others. Declan McCluskey, Managing Director of Automall, said: “At Automall, we put our customers’ at the heart of everything we do. It is part and parcel of our DNA. The new showroom, once open, will offer the widest range of pre-owned vehicles from the world’s leading brands all under one roof. “Automall is already possibly the biggest used car brand in the UAE with over 1,000 cars on offer across our outlets, and which are also displayed on our website. But with this new location we will be able to offer an even bigger and better choice to our customers,” added Mr. McCluskey. Automall sells cars that are under five years old and that have driven no more than 75,000kms. Each vehicle goes through a comprehensive 99-point check and is fully prepared to its high standards before being offered for sale. In addition, each vehicle benefits from a comprehensive Automall warranty for additional security and peace of mind for the customer. “Besides having models that fit various budgets, all cars sold through Automall have been stringently checked and prepared prior to sale, said Graeme Sears, Operations Director for Al-Futtaim Automall. “Buying a used car can be challenging as you may not be certain of a vehicle’s condition or history. Here at Automall, we set out to take away those fears by offering customers the opportunity to buy cars that had been fully checked and approved by our team of trained experts,” he added. For more information, please call 600 567 005 or visit www.automalluae.com which offers easy access to the vehicles available with comprehensive search options and multiple pictures of the actual cars for sale.